P.S. Nothing like a bit of scrapbooking retail therapy to lift the spirits! A very pretty page! 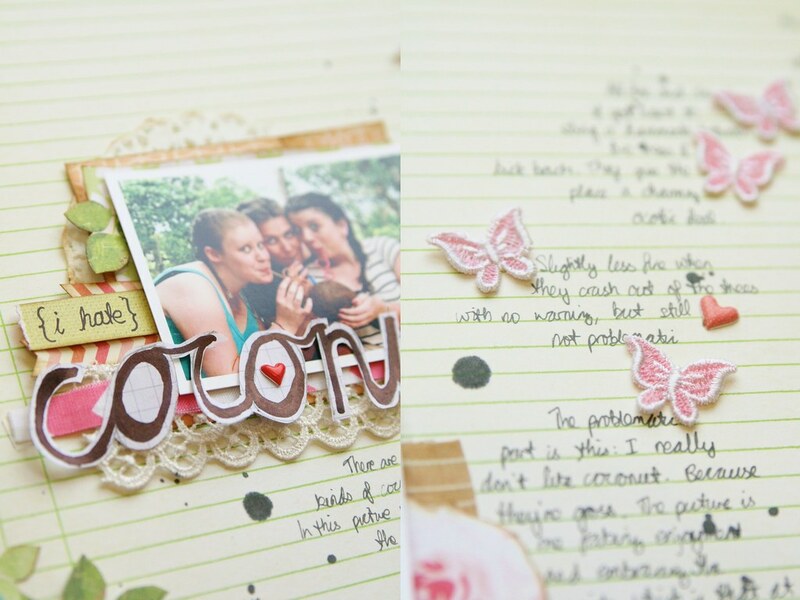 How clever to do your journalling like this too in little sections on a curve .... PS how can you not like coconut? As usual a page to inspire! 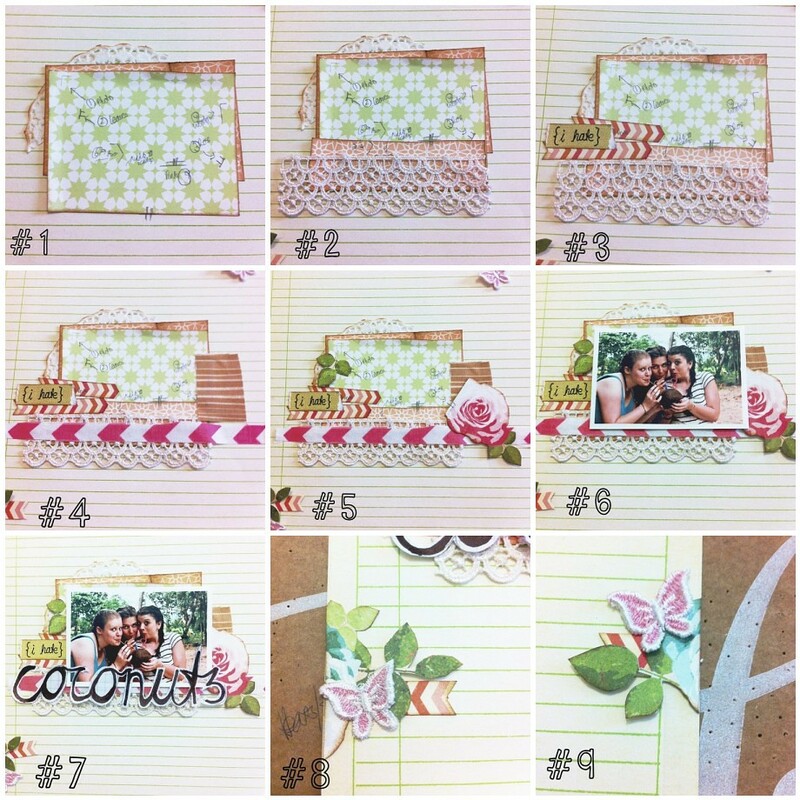 I always love your style of scrapbook pages. So sorry you've been down this week, I know just how exhausting and life consuming teaching can be. Enjoy your weekend and start the new week refreshed and re-energised. Oh yes I had one of those week before last and amazingly it started to get better on Friday 13th! Lovely page. I tried to leave you a comment on your blueberry gin post - start saving Grolsch bottles for the finished product. Hope next week is heaps better for you.